Dr. Pou is a Miami Native, but in his teens, moved to the Tennessee countryside. It was there, amongst acres of untouched habitat, that his passion for animals grew. He raised chickens and horses on his family’s large farm. If it had a heartbeat, Dr. Pou brought it home. He graduated from St. George’s University, School of Veterinary Medicine, having completed his clinical rotation at the University of Tennessee, in Knoxville. 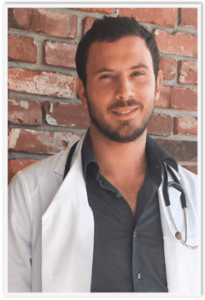 He started his career working at a non-for-profit animal hospital, with a case load of 40+ patients per day, coupled with a multitude of complicated surgeries. It is there that he excelled as a surgeon, and his passion for internal medicine flourished. 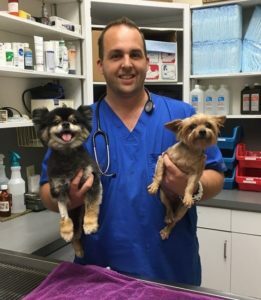 After two years of a high-paced atmosphere, he founded Pou Veterinary Group and opened its’ doors in June of 2013. Dr. Pou’s areas of special interest include small animal medicine, internal medicine, surgery, reproductive medicine, preventative medicine, and believe it or not, anything poultry related (He did his externship at Purdue University where his affinity for chickens only grew stronger). Dr. Pou is also an active member of the American Veterinary Medical Association, the Florida Veterinary Medical Association, the South Florida Veterinary Medical Association, and holds a certification in K-Laser Therapy. He is also extremely involved in the Cat Network community, as well as various rescue groups. He is so passionate about adoptions, that he created his very own adoption agency at Pou Veterinary Group, which has successfully adopted out over 150 kittens per year, and 30+ dogs per year. When his wife and kids aren’t dragging him to Disney World, Dr. Pou can usually be found outdoors, either fishing, taking a walk with his Newfoundland named Moose, or enjoying his chickens. Dr. Gouzopoulos is a native of Toronto, Canada. Having been fortunate enough to travel the world, he has been able to see more than most. Dr. G graduated from Ross University in 2013 and completed his clinical rotation at Kansas State University. Upon completion at Kansas State, Dr. G decided to move to Miami where the weather is always nice and sunny! His areas of special interest include small animal orthopedic surgery, soft tissue surgery, and ophthalmology, as well as cardiology. Wherever he goes, he can be found with his sidekicks, Magnet (a mix breed dog he adopted from the shelter) and his giant poodle, Kosta. Dr. Nicolas Zuniga is a native of La Habana, Cuba and has been living in Miami for the past 12 years. He graduated from la Universidad Agraria de La Habana in 2000 and, shortly after, he moved to the United States. After working for a few years, Dr. Zuniga passed his US Boards and officially became a licensed doctor in Florida. Dr. Zuniga’s areas of special interest are in Soft Tissue Surgery and Cardiology. On his off time, he divides his time between his passion of veterinary medicine, his beautiful wife, their son, and his favorite hobby of scuba diving! Dr. Mario Cabrera is a lifelong Miami Native and a second-generation Veterinarian. He has always been around animals, accompanying his father in a veterinary hospital from an early age. His love for animals became a part of his development as a child and helped shape his character into the valuable physician he is today. Dr. Cabrera. Prior to veterinary school, he served as a veterinary assistant at his father’s busy practice. 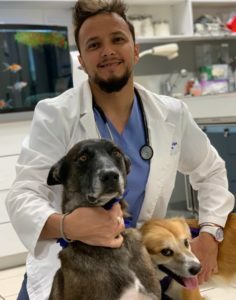 Upon graduating from La Universidad Nacional Pedro Henriquez Urena, in the Dominican Republic, he participated in an Intensive Post-Graduate Program at Animal Medical Center in New York City. Dr. Cabrera also holds certifications in Veterinary Acupuncture and Tui-Na from the Chi Institute. and K-Laser Therapy. Upon completion of all his schooling, he took over his father’s practice and grew it to a 5-doctor hospital, 24-hour facility. 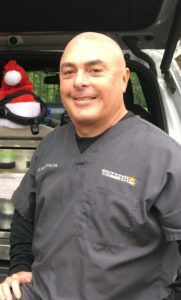 After years in private practice, Dr. Cabrera sold his practice to VCA Animal Hospital. Dr. Cabrera has devoted much of his time in learning new procedures in rigid endoscopy, orthopedics, and soft tissue surgery. We are fortunate enough to have Dr. Cabrera as our chief orthopedic and soft tissue surgeon. On his time off, Dr. Cabrera can be found at home with his wife, Diane, and their 5 children (and 2 golden-doodles named Chloe and Zoey). His hobbies include traveling and boating on the beautiful Miami waterways.